Yum, yum, yum! 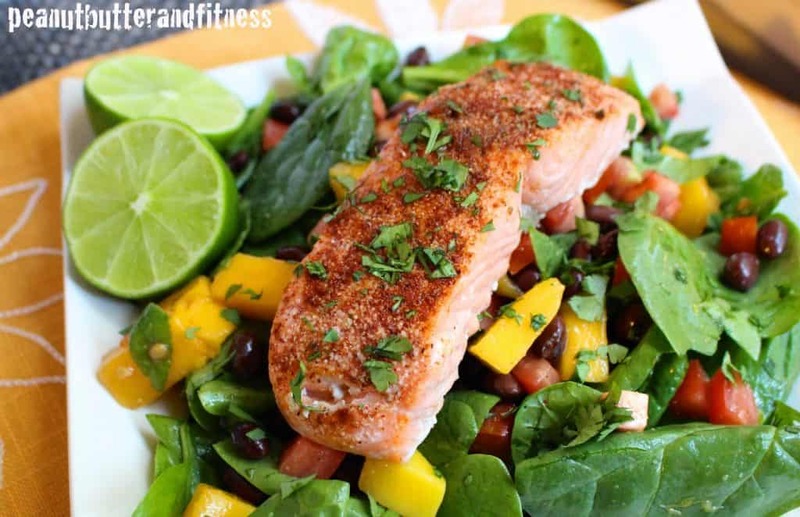 This salad is full of deliciously fresh flavors and I have to say, I think I cooked the salmon perfectly 🙂 I seasoned it with chili powder and some Flavor God Spicy Everything seasoning (check it out in the meal prep section below) – it’s not too spicy but I think it’s just enough. Plus the chunks of mango and the light dressing give a nice amount of sweetness. I added a touch of honey to the dressing and I’m digging it on the salad. This is a quick and easy salad to whip up! I decided to toss this salad in the dressing before plating it rather than trying to drizzle it evenly over the spinach and other goodies. I highly recommend doing it that way! 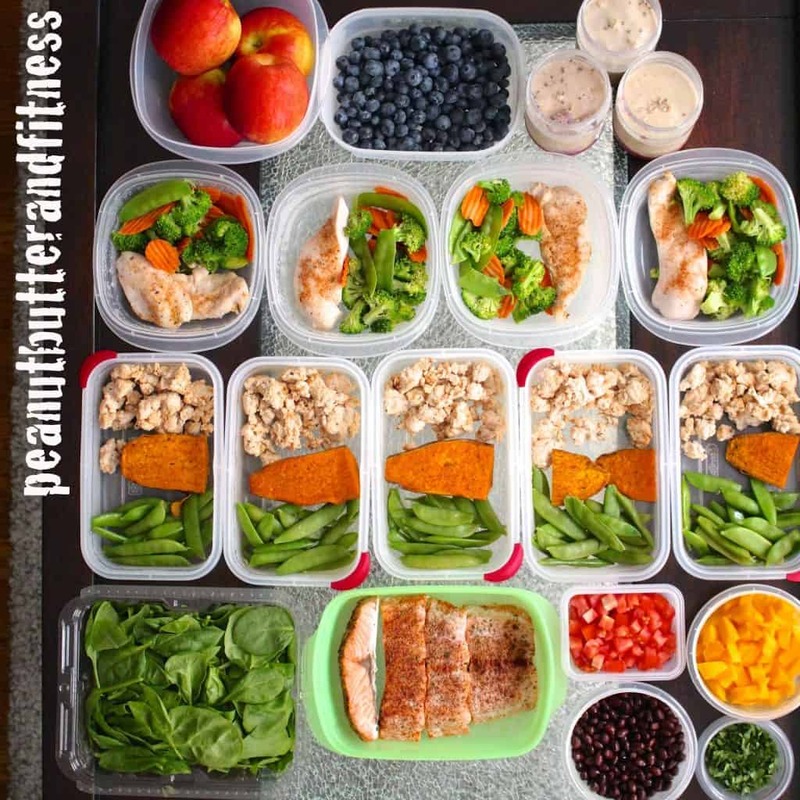 You can use less dressing that way because you don’t end up with big globs of dressing in one little corner of your plate, the wealth has already been spread among the leaves 🙂 Keep reading below for meal prep recipes and nutrition info! Pre-heat oven to 400 degrees. 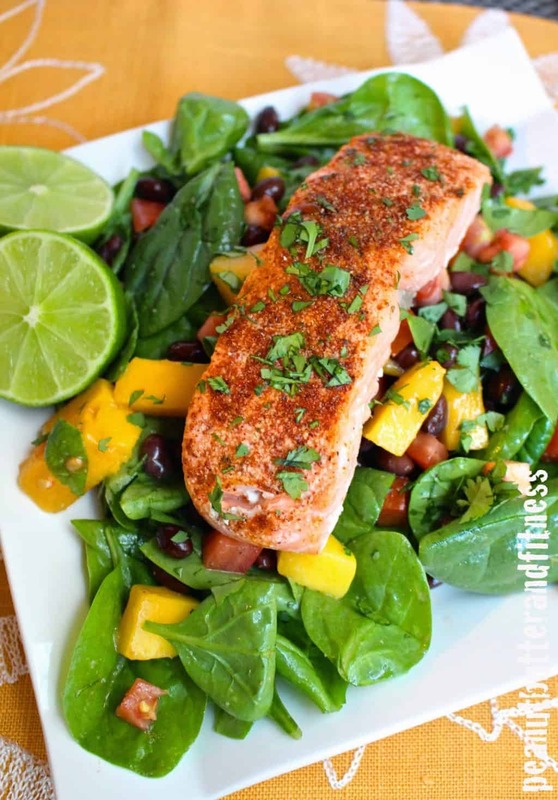 Cut salmon into four 4 oz servings and pat with chili powder and Flavor God Seasoning. Bake for 12-14 minutes or until salmon flakes easily (mine took 14 minutes). 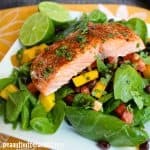 Toss salad ingredients with dressing and top with salmon and chopped cilantro. I wish that I could tell you what kind of salmon I used here…honestly, I just grabbed a fillet that was already packaged in the fresh seafood area. I bought the kind with the skin and I want to say it said pink Atlantic salmon on the sticker. I probably should have paid more attention. Ooops. Anyway – I baked it with the skin on which I personally think gives it a better flavor than skinless salmon. And since I meal prepped it, I just cut off the skin when it’s cold before microwaving and serving it. Much easier that way than doing it when it’s hot! 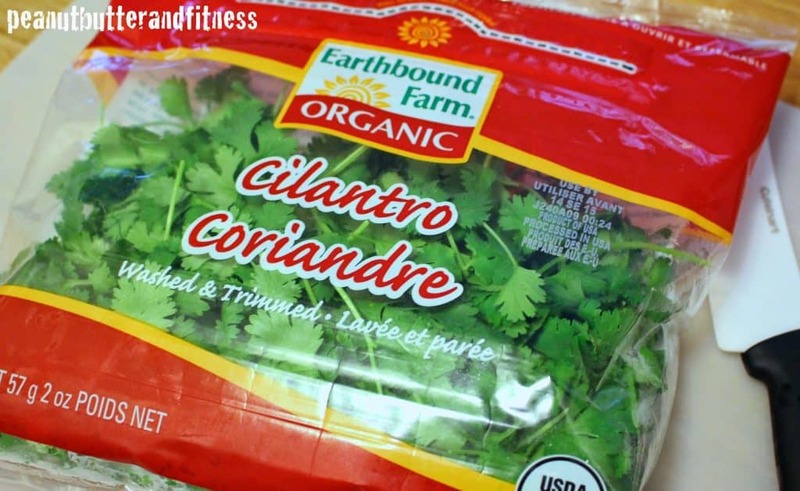 How have I not seen cilantro packaged like this before?!? I love, love, love fresh cilantro but I hate washing/trimming/chopping it. This takes care of 2 of those problems for the most part…I still had to do a little bit of trimming but the cilantro wasn’t wet from washing it so it was way easier. Score! These seasonings are awesome! Is it weird having the dude’s face looking at you while you’re seasoning your food? Only if you think about it 🙂 They’re all super low in sodium but have amazing flavor! Perfect for meal prep. Plus, there are no added chemicals/preservatives and it’s an easy way to support a small business…this guy hand grinds and packs all of them. I got all four of these for $28. Check it out here. Directions: Bake chicken at 400 degrees for 18-20 minutes or until cooked through. Place vegetables in a large microwavable bowl. Dampen a paper towel and cover vegetables. Microwave for 2-3 minutes or until vegetables are tender crisp. Serve chicken and vegetables topped with soy sauce. I found these little soy packets in the Asian section of Safeway but you can find it on Amazon too. They are way lower in sodium than the “low sodium” version of soy sauce that you find in bottles. 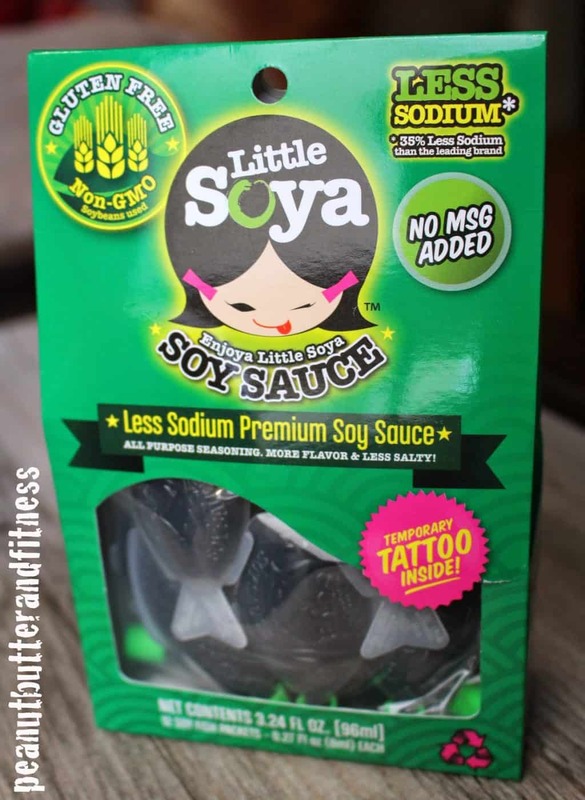 270 mg per tbsp of Little Soya vs 575 mg per tbsp of Low Sodium Kikkoman soy sauce. And these are in perfect little “to go” fishies! Perfect. Directions: Cook turkey in large skillet, add in Flavor God seasoning if desired. Steam sugar snap peas in microwave: Place sugar snap peas in a microwave safe bowl. Cover bowl with damp paper towel, microwave for 3 minutes. Cut sweet potato in half lengthwise and brush with olive oil. 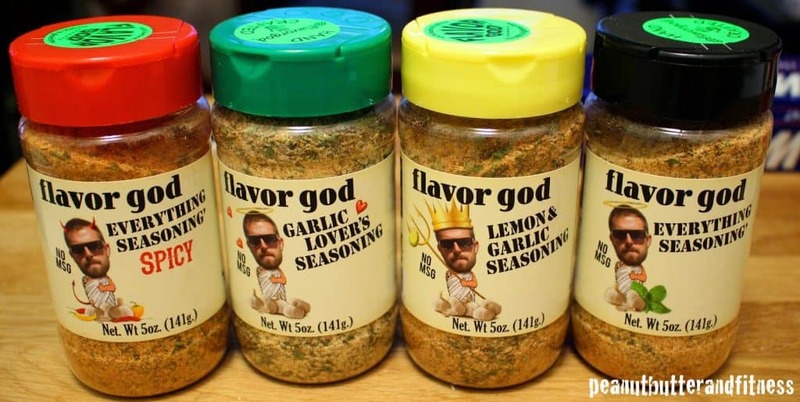 Sprinkle with Flavor God seasoning. Bake at 400 for 45 minutes or until tender. I have been looking for an email for you, but cant find. I own 2 instagram pages, and im looking for great blogs to feature on my pages. Prepared this meal this evening, everything came out really well. Excited to try it tomorrow. Thanks for sharing Erin!